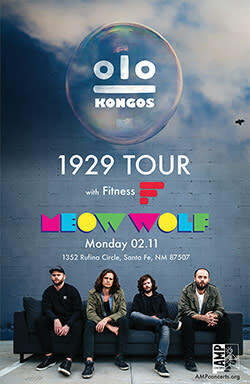 KONGOS is offering several VIP packages for this show. Package information: You will receive an email from On The List Presents (VIP@OTLPresents.com) 2-3 days prior to the performance date with check-in/pick up instructions (be sure to check spam/junk email in case it lands there). Meet & Greet package purchasers may be required to arrive up to several hours prior to show to participate in the VIP activities. Exclusive package merchandise items will distributed at the venue on the day of show ONLY. You must proceed to the designated VIP check-in at the scheduled time to receive your VIP merchandise. Please note that tickets included in packages are to be picked up at the VIP check-in location, on the day of show ONLY. To redeem all elements of your order you must present your receipt and picture ID at the VIP check-in location. If you have questions regarding the ticket packages, or have not received your instructions in the time frame indicated, please contact On the List Presents by emailing vip@otlpresents.com. 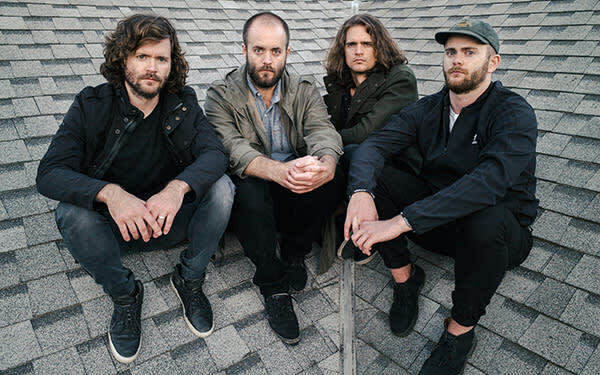 The brothers got their first break in 2011 when "I'm Only Joking" became a radio smash in South Africa, followed by multiple top 40 hits from their second album Lunatic, including "Come With Me Now," which would go on to put KONGOS on the map in the United States and worldwide in 2014. The group became unanimously recognized as one of rock's most infectious and invigorating new voices as the track went RIAA double-platinum for sales in excess of 2 million. 2018 has seen an explosion of creativity from the band with an upcoming new album, 1929, and a 10 part documentary series, "Bus Call," which follows their story and gives a compelling and realistic window into life on tour. 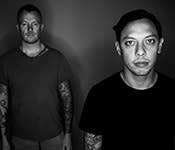 After years of writing music for a mass of bands, Max Collins (Eve 6) and Kenny Carkeet (AWOLNATION) needed a creative therapeutic release unbound by the restrictions of what a song "should" be. Together they formed Fitness, an aggressive, in your face synth-duo unconstrained by expectation or trend. Their debut album, Karate, was released in 2018.